On our way home today, Brooklynn decided that she didn't really want to get back in the car after we picked up some food. On a Friday afternoon after my first full week back at work with extra driving and a baby at home disrupting my sleep, it wasn't exactly what I wanted to deal with. 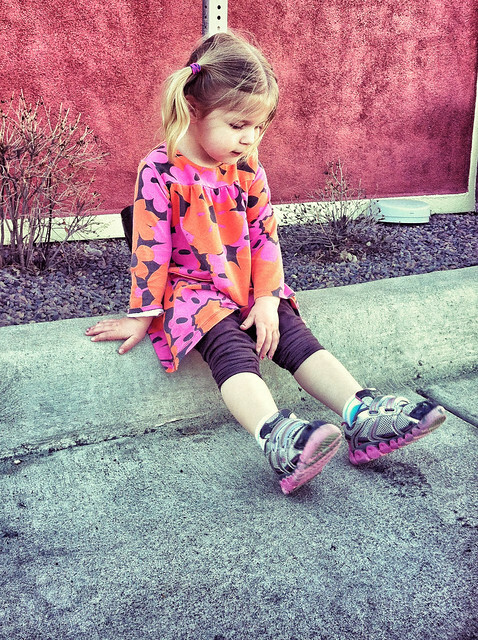 Still, she picked a great wall to sit in front of[1. If only I hadn't taken the picture with a pole right behind her head...]. I think we're all looking forward to the weekend.